When I was tossing around ideas for this challenge I asked my husband what he thought of when he heard the word 'Breakthrough'. He immediately said 'Darwin': the theory of evolution'. 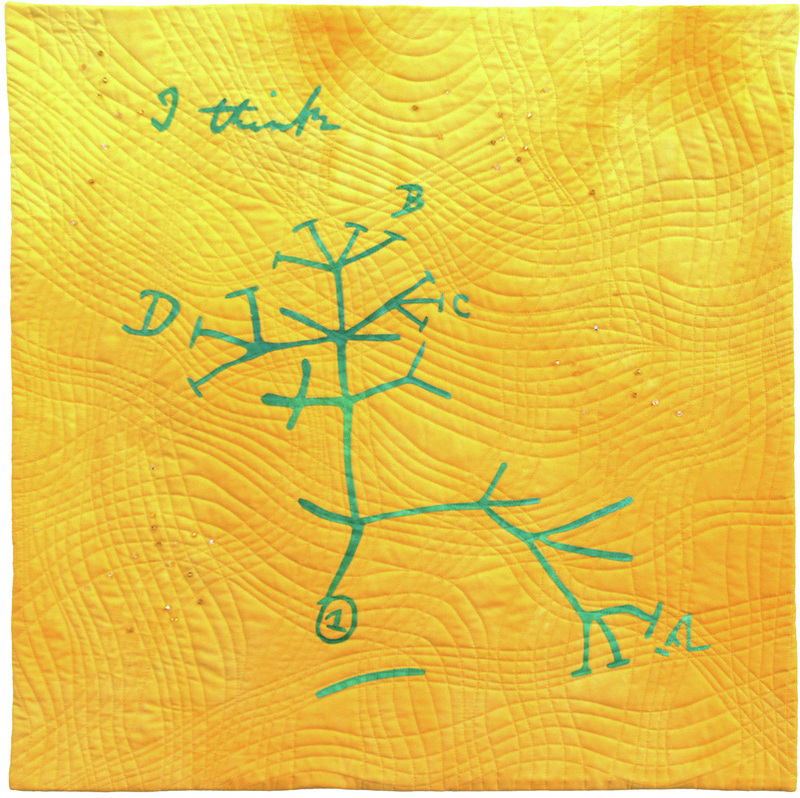 I thought this was a good start, but when I found the image of Darwin's tree of life on the internet, with the words 'I think' written above it, I knew I had found my design. The Cambridge University Library holds the copyright to this image, so I contacted them and after a series of phone calls and em-mails with men who had no idea what a quilt was, received permission to use this iconic image for my quilt. I decided to interpret it in bold colours and give it a bit of sparkle with Swarovski crystals. I quilted it with a series of criss-crossing, slightly curved lines to symbolize natural movements and the complexity of scientific thought.